This is one of the best thrillers I have seen in the young adult genre in a long time. The first thing that grabbed me in this story was the main character Brit. In a lot of thrillers these days the hostage is almost always a damsel in distress. In this case that is not true. Brit is a brave, strong, smart girl. After years of depending on everyone around her she finally realizes that she can take care of herself. The book takes place on the mountain while Brit is held hostage but through out the book you get flashbacks to Brit's life back home of her with her best friend and ex boyfriend. I really did not like Brit's friend and ex boyfriend but I could see how they were necessary to Brit's story/development. This really helped put things in perspective and really helped make Brit a fully crafted character. She really appealed to me as a character and that made the story so much more enjoyable for me. I understood Brit and I became invested with her and had to see what happened. There is a romance in the book that also adds a little steaminess and tension to the novel. I know some people have had a problem with the romance since they have seen it as Stockholm Syndrome but I personally did not see it that way. Not everybody in the book is as they seem. Brit also does fight her feelings for most of the book. I enjoyed the romance a lot and became invested in their story. The story itself is crazy intense and good. There was so much suspense I literally could not put the book down. Fitzpatrick also did a great job of making the story complex, suspenseful, and thrilling without it being over the top. Sometime thrillers get too caught up in the mystery and end up leaving the characters and development behind making it a little too Hollywood and not real life. Fitzpatrick was able to avoid this by balancing the mystery with adding the aspects of a contemporary novel at parts when it came to the characters and their backstories. It was very realistic and well written. It kept my heart racing the whole time as I struggled to figure out who was good and bad.That leads into another thing I liked about the book. Nothing is fully revealed until the end of the book and because of this through the story you cannot tell who is good and bad. You find yourself trusting a character and then the next moment you second guess yourself thinking they are a killer. This really kept me on my toes and made me race towards the finish. When I started the book I did not expect the mystery to unravel the way it did. There is also a very nice epilogue that helps wrap everything up and give you closure. 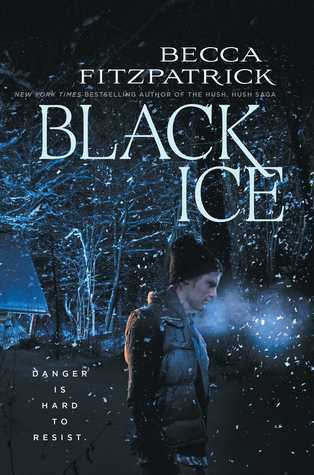 Black Ice is a must read for any fan of mysteries/thrillers in the young adult world. The book was suspenseful, intense, inventive, and I loved the aspect of survival on the mountain.